Congratulations to CBNS CI and Node Leader Professor Benjamin Thierry (UniSA), Professor Richard Tilley (UNSW), Dr Andrew Foreman (RAH) and CBNS member Dr Ruirui Qiao (Monash) on their successful NHMRC Development Grant. The grant was awarded for their project Development of Superior Sentinel Lymph Node Mapping Procedures using Magnetic Tracers and is worth $609,542. 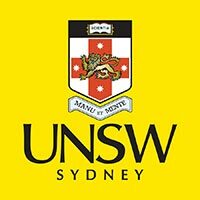 The aim of this NHMRC Development Grant project is to develop and validate a superior staging procedure for head and neck cancer combining preoperative Magnetic Resonance Imaging (MRI) and intra/post-operative localisation of magnetic tracers using an ultrasensitive handheld magnetometer developed at the University of South Australia.